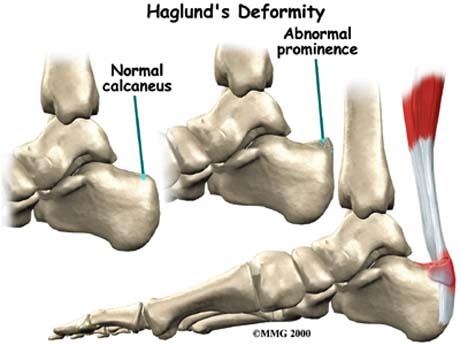 HAGLUND DEFORMITY - RETROCALCANEAL BURSITIS | GEORGE D. GOUDELIS MD. 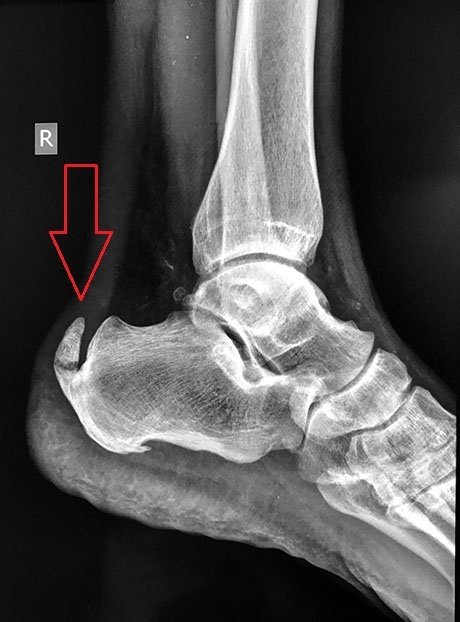 Ph.D.
Haglund syndrome involves painful swelling of the soft tissues of the posterior heel just anterior and superior to the Achilles tendon insertion, associated with lateral calcaneal bursitis and Achilles tendinitis. Noticeable change of normal anatomy back heel with edema - swelling and redness. Patient present with deep posterior heel pain, fullness and tenderness with palpation medial and lateral to the Achilles tendon, and increased pain during dorsiflexion. Lateral foot radiographs will demonstrate Haglund deformity. MRI and ultrasonography can be helpful to determine extent of Achilles tendon degeneration. The goal of conservative treatment is to address the existence of local inflammation of the Achilles tendon and bursa. Conservative treatment should be noted that it can not address the cause of the creation of inflammation, ie can not be shrunk the back bony prominence - spur of the heel. Antiinflammatory oral medications which are aimed at reduce inflammation. Some people benefit from the use of topical anti-inflammatory agents such as ointments or drops. Ice. The ice applied during the period of intense inflammation, ie when behind the heel there is swelling and redness. Applications should not exceed 6-8 minutes at a time and this can be repeated several times in 24 hours. Heel lifts. 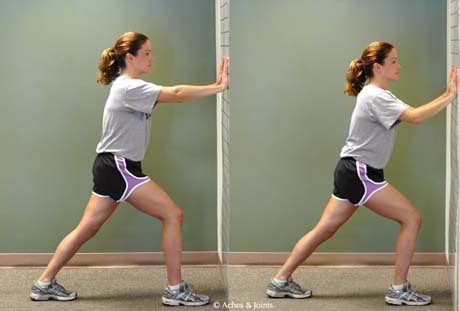 Patients with high arches may find that heel lifts placed inside the shoe decrease the pressure on the heel. Heel pads. Placing pads inside the shoe cushions the heel and may help reduce irritation when walking. Steroids injections - cortisone-, should be avoided due to inherent risk of Achilles rupture. Surgical treatment applied when prolonged conservative treatment did not address the patient's symptoms. Its aims to remove the inflamed bursa that lies between the Achilles tendon and heel and removal of hypertrophic bone protrusion of the posterior apophysis of the calcaneus. The surgery can be done with open surgical procedure or by arthroscopic method is certainly the minimally invasive method.